There are cakes which look absolutely stunning and gorgeous on the outside, but when it comes to the taste, it disappoints, and you just wished that it tasted as good as it looks. 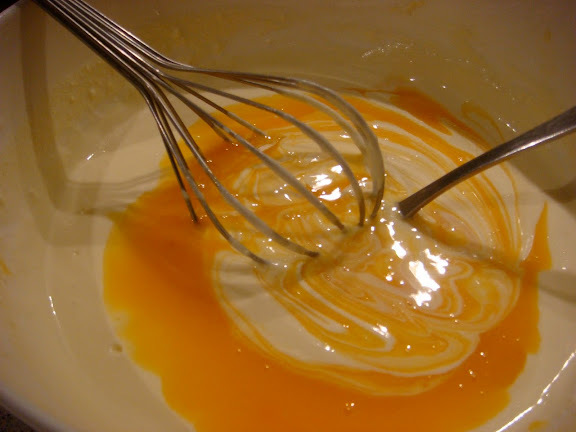 Ive had a lot of those experiences, and in fact, I think Ive made a few of cakes like that myself! 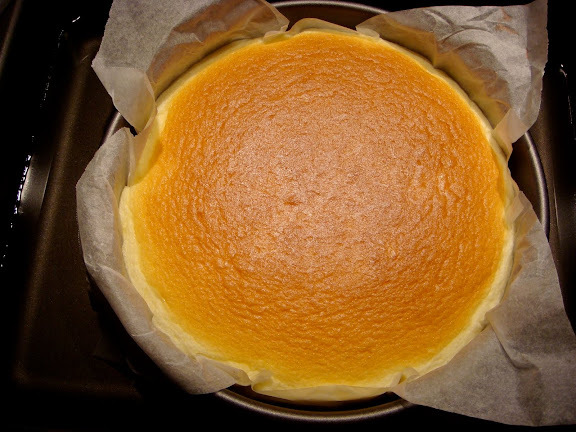 What I love about a good Japanese cheesecake is that while in appearance it resembles a humble (and perhaps, plain or boring?) 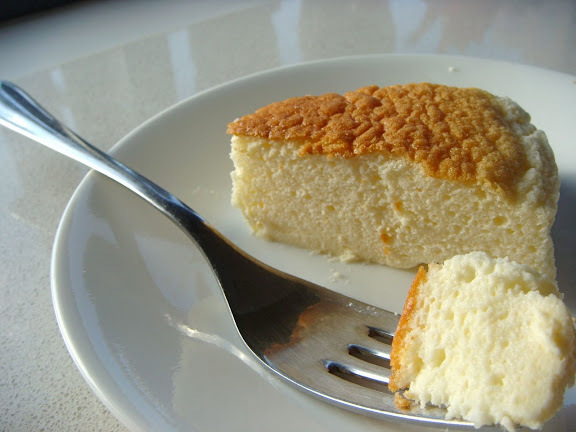 sponge cake, but the minute you put it into your mouth, you want to close your eyes and go hmmmmmmmmmmmmm. We all go through phases, dont we?! Well, about a month ago, I was in a cheesecake phase. 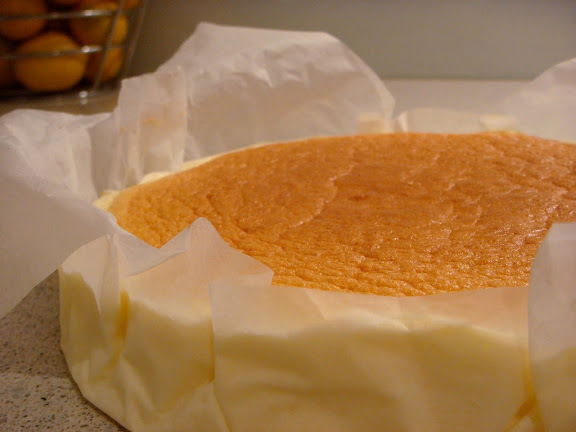 And I made cheesecakes almost on a daily basis (I dont know where I got the energy from after work!). 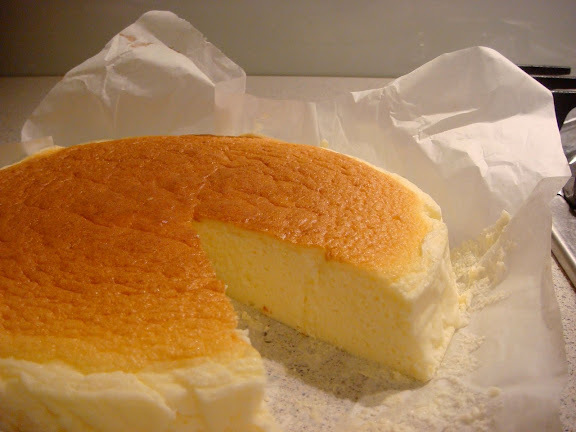 Following my previous cheesecake attempt, I have diligently scoured the internet for more versions to try. This version is a even lighter version as it calls for less eggs (good for the cholesterol conscious like myself!) 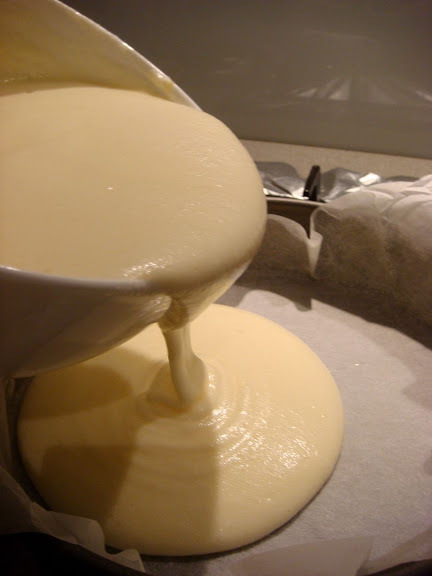 and has a mousse-like texture as it is incredible light and fluffy! Right out of the oven...hmmmmm. 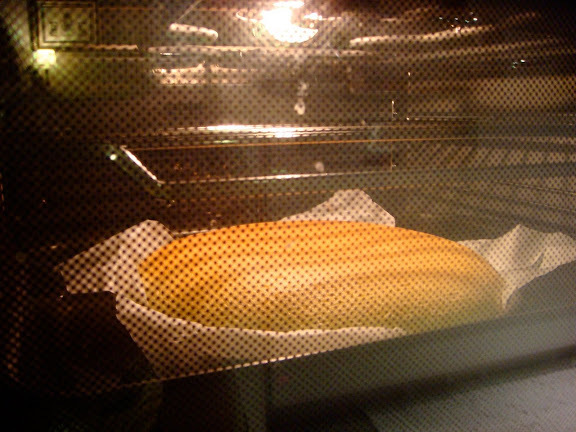 Note: The cake will continue to bake with the heat off so do not over bake. 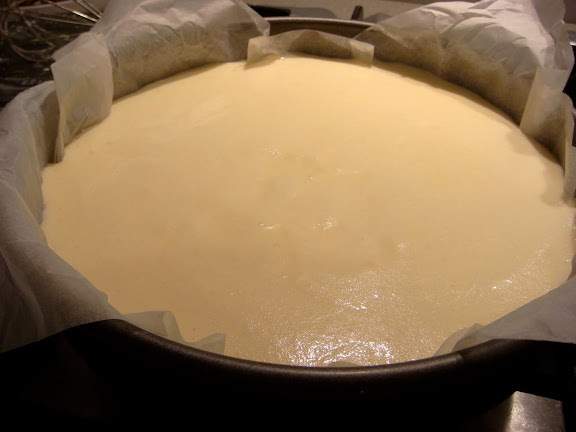 Depending on the oven, the cake may not turn golden but should avoid cooking much longer than the suggested time.